Making your own vanilla extract is another easy project that makes you feel better knowing that you are controlling what goes in it! Per Wikipedia: Vanilla extract is a solution containing the flavor compound vanillin. Pure vanilla extract is made by extracting from vanilla beans in an alcoholic solution. In order for a vanilla extract to be called pure, the U.S. Food and Drug Administration requires that the solution contain a minimum of 35% alcohol and 13.35 ounces of vanilla bean per gallon. Double and triple strength (till 20 fold) vanilla extracts are available. Place in a glass jar with a tight fitting lid. I did end up cutting the vanilla beans a little more so they would stay under the liquid. I think if you use a narrower jar you could avoid this, but it worked. Place the jar in a place away from light and shake it for 30 seconds everyday at least for the first week. After that at least 3 times a week. I put it in the cupboard where I get my coffee out everyday so that would remind me to do this. Let it set for 4 to 6 week before you use it. When it is ready strain it with a cheese cloth, yogurt strainer, or coffee filter, whatever you have on hand. With a small funnel it makes it easy to pour into little bottles. I had to order some amber glass bottles on line so I could add labels and give them as gifts. I haven't received them yet, I'll show the final project when they come in. Now there are many recipes that call for different ratios and time steeping. Of course this is a personal preference how strong or good you want your vanilla extract. Bacardi used to have a vanilla flavored rum which was the closest to real vanilla flavor (they used real vanilla). They don't make it anymore. So I am going to make my own vanilla flavored rum, it tastes great in coke! If you use a vanilla bean and scape the seeds to use in a recipe, don't throw the rest out just add it to some vodka and keep using and adding. It's an honor to accept this award that was passed on to me from my friends Anncoo of Anncoo's Hobby, and Kristy of My Little Space. I want to thank them for their friendship and support. It makes my day to be a part of this blog world, and meet so many wonderful people from all parts of the world. It brings us together, and what fun we have doing it! 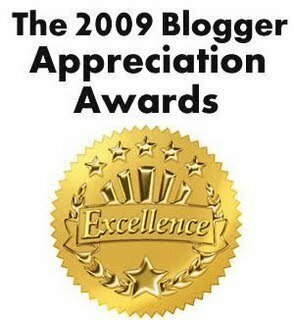 (okay I know I should of linked their blog instead of their name, but you get the idea and can still visit their blog by clicking on their names) Hey I'm still getting the hang of itI would love to pass this award on to all of those who have supported me and stuck with me, though this adventure! I have been having a wonderful time getting to know everyone better, and visiting you every chance I can. You had me at Vanilla Rum and Coke! Yeah, Baby! Wow, homemade vanilla extract! This is really interesting. Too bad, I can't find vanilla beans over my living area otherwise I can make this. Homemade vanilla coke, sounds wonderful! Lyndsey, you're great! That's your well deserved award and do enjoy youreslf all the way. Have a wonderful weekend. Cheers. TKW - you can make the best vanilla rum and coke by adding your homemade vanilla (which I already did) or add some Vanilla Beans to the rum bottle. Easy peasy :) and good!! Kristy - That's too bad you can't get vanilla beans. I get the organic beans online through Mountain Rose Herbs http://www.mountainroseherbs.com/ I'm not sure if they ship internationally. The regular vanilla beans I get at our local health food store. The beans are also great for making vanilla ice cream. The homemade vanilla coke is the best! Thanks again, and you have a nice weekend too! Laura - Now I have to figure out how to make the labels for it. My amber glass bottles should be here anyday. This is a great post! I never knew we can make our own vanilla extract. I look forward to try this.